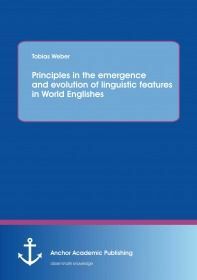 This study deals with different explanatory models for the emergence or existence of linguistic features in varieties of the English language. After a brief overview of the current research, five non-standard varieties from all over the world, ranging from a traditional dialect to pidgins and creoles, are analyzed in two morphosyntactic and two phonological features. The theoretical approaches are discussed with reference to the features, providing recommendations for or advice against certain explanatory models. Finally, Bybee's usage-based functionalist approach and the usage-based synthesis of new-dialect formation according to Ansaldo are highlighted as plausible explanations for the features. Formalist, descriptive universals are rejected in favour of functionalist, cognitive universals in human language processing, acquisition and evolution, as they occur in language contact or speaker contact scenarios - the driving force of language change.